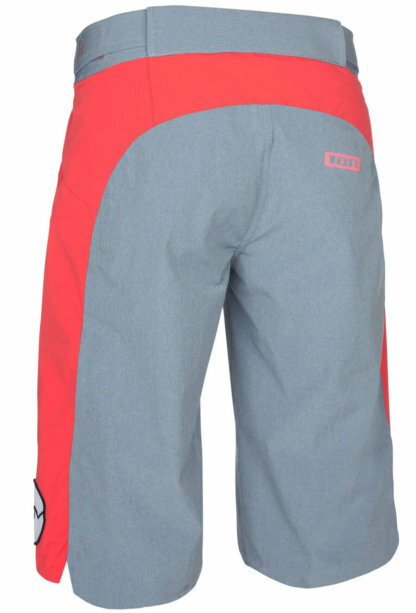 ION’s top notch bike shorts: The NIA! 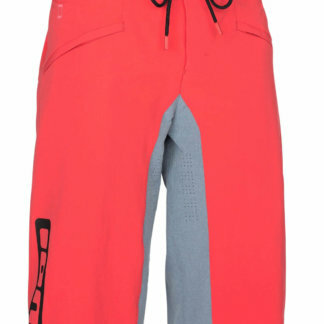 Lightweight and flexible bike shorts in ION’s unique surf shorts style with a relaxed Loose Fit. A double weave construction of the water repellency treated fabric protects on rainy and muddy days without losing any breathability. Two zip pockets on the front including an integrated Phone Pouch to protect your mobile device against light showers and small impacts. 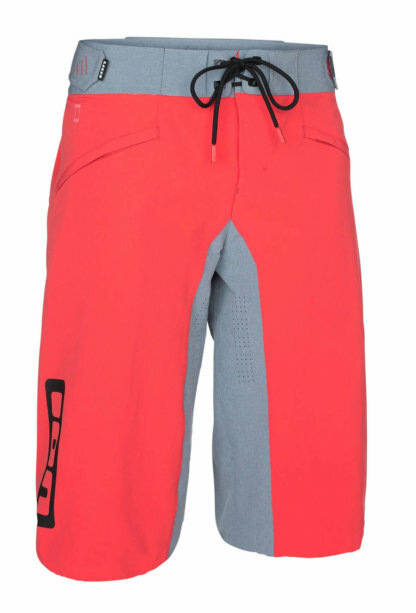 Hi tech look due to a lot of bonded details, like the surf inspired Boardshorts Closure system with lace ports, to store the laces away. Boardshorts Closure with Lace Ports: Our classic surf short closure system has been adapted for selected shorts in our bike range. You get: perfect adjustability, great comfort and last but not least, that unique surf style. Triple Stitch Seams: Triple stitched seams are almost indestructible and extremely robust. For all dirt jumpers, slope stylers and downhill shredders out there. Bonded Seams: Bonded seams are glued, not stitched. The result: very flat, but durable seams.